Let me ask you; have you ever purchased an expensive item then had buyer’s remorse? Either because you bought it on the spur of the moment or it’s not what you thought it would be? I’ve been guilty of that myself on occasion. So that’s why I’m reviewing the KitchenAid 16-Cup Pro Line KFP1642CA here. To give you the opportunity to see if it is the right machine for you. This Pro Line model is not cheap and I’ll go so far as to say that it is for folks you do a lot of cooking, canning and entertaining. It is huge and will take up a lot of your counter space, factors you want to take into account before you whip out your credit card. I can promise that by the time you finish reading my KitchenAid 16-Cup Pro Line KFP1642CA review, you’ll have learned all you need to know about this food processor to make an informed choice. Can you handle three work bowls? Because that’s what you get with the Pro Line KFP1642CA. 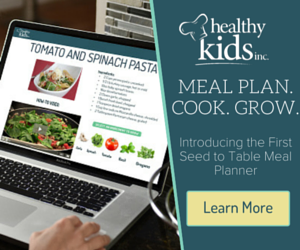 They are all BPA-free, so you’ll have no qualms about preparing your family’s meals in them. The maximum recommended levels for both thick and thin liquids is clearly marked on the side of the work bowl for easy reference. 16-cup work bowl – can handle all your large recipes in one go. No need for splitting your recipes into multiple small batches anymore. Great for kneading dough or if you prepare meals for a crowd or throwing a party. What I like about this model is that it can hold a lot of liquids. The liquid max for most food processors is usually half of the stated bowl size. But not this one. The maximum capacity for thin liquids is 10 cups and for thick it’s a whopping 15 cups. This feat is achieved because of the ultratight, spill resistant seal on the work bowl lid. So go ahead and make those big batches of soup or pesto or whatever takes your fancy. Because you won’t have to worry about your food leaking out all over your counter. 10-cup prep bowl – can only be used with the slicing and shredding discs or the dicing kit. Which means you cannot use it for any kind of dough making, chopping, mixing or pureeing because you cannot use either the dough blade or the chopping blade with it. In order to use the prep bowl, you’ll need to first place it inside the larger 16-cup work bowl. 4-cup mini bowl – comes with its own mini blade and needs to be placed inside the large work bowl for use. This bowl can be used to make cake batter, sauces, mince, puree and chop fruits and vegetables and also chop nuts, fresh herbs and even meat. The 3-1 Ultra Wide Mouth Feed tube is very versatile because it lets you process different size food items. And you can place the food either horizontally or vertically in the tube. Actually I had a look at this machine in the store. The feed tube is just one piece and it is part of the bowl cover. The feed pusher consists of three pieces – the large pusher fits inside the tube and the other two smaller pushers fit inside the large pusher. Which one you use depends on how small or large an item you are processing. So when you need to process large items like a large whole potato or cucumber, you’ll use the entire feed tube and the large food pusher to process the food. To slice or shred very small or skinny items like a single carrot or celery stalk, you’ll insert the small food pusher into the corresponding slot in the feed tube. The small food pusher also has a “drizzle hole” that lets you slowly drizzle oil or other liquids into your recipe. Perfect for when you are making mayonnaise or pesto. One good thing about food processors is that they let you make healthy recipes of things you’d normally buy at the grocery store. Take for instance bread. Do you normally read the ingredient label before dropping it into your cart? There’s usually a long list of ingredients especially on cheaper, generic brands. What if you have a gluten intolerance? Yep, there are gluten free breads on the market but you can still make your own. With the included plastic dough blade and the large 16-cup work bowl, you can easily mix and knead your own yeast based dough and savor the aroma of fresh baked bread coming from your oven. It’ll taste a lot better too than your store bought variety. You can knead up to four cups of flour, which will make about a two pound loaf of bread. Dial style lever controls with 2 speeds, on and pulse plus off. To start the machine, you first have to turn the speed lever to high or low, then turn the dial to on. To stop processing simply turn the dial to the off position. Same for when you need to use the pulse control – just flip the lever to high or low and then turn the dial to pulse. When to use the On speed. The on control lets the machine run continuously and is great for making things like nut butters or when you want finely grate cheeses like Romano or Parmesan. When to use the pulse speed. You can use pulse with pretty much any items where you want to get a certain texture. Let’s saying you are chopping nuts for your recipe. Pressing the pulse control on then off in 1 or 2 second intervals lets you control how fine or coarse you want the nuts to be. A die-cast metal base houses a powerful 650 watt motor. This is enough power to knead dough and handle tough tasks such as grating hard cheeses or chopping meat with ease. The KitchenAid 16-Cup Pro Line KFP1642CA food processor comes with shredder and slicer blades, the multipurpose blade and the dicing kit. Reversible 2mm and 4mm shredding disc – which side you use will depend on how fine or course a shred you need. It works great to shred chocolate and of course cheese. Externally adjustable slicing disc – this disc is placed directly onto the power shaft in the work bowl. You adjust the thickness of your food by moving the lever (which is located on the side of the machine) to the desired level. You can use this disc with either the large or the prep work bowls. The lever lets you get thin or thick slices of soft or hard fruits and veggies, so you can get just the right thickness of cabbage for your coleslaw or vegetables for your salad. You can get super thin slices of potatoes for potato chips or a little thicker if you are making au gratin. You’ll have to have ninja knife skills to slice like this machine. Stainless steel multipurpose blade – a really great feature of this blade is that it has a leak resistant seal, which means the blade does not need to be removed from the bowl before pouring out your liquid ingredients. But the best part is that it will prevent any of your pesto or soups from leaking out the bottom of the bowl while you pouring it out. The multipurpose blade is truly the workhorse of any food processor and is the most versatile. From mincing garlic to chopping fresh herbs, fruits and vegetables to making your own breadcrumbs, cookie or cracker crumbs (without any added preservatives) and pureeing cooked fruits and veggies, it does it all. Ditch the store bought peanut butter with its hydrogenated oils and preservatives. Now you can make your own healthy peanut butter or other nut butters. Simply place your nuts of choice in the bowl, turn the dial to on and let it rip until nice and smooth. Easy peasy and you saved some money too. You can also use the multipurpose blade to grate hard cheeses and also to chop raw or cooked meat and poultry. 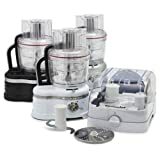 Dicing kit – the hands-free, commercial-style dicing is unique to the KitchenAid 16-Cup Pro Line KFP1642 and a first for non-commercial food processors. It is perfect for dicing veggies for soups or salads. It can also dice fruits and potatoes as well. You cannot adjust either the thickness or the size of the dicing and some users have said that the kit dices too small, but that could be personal preference though. But I bet it would be perfect for dicing veggies for your homemade stuffing mix. The kit is amazing. It can dice a whole cucumber in just seconds. It can also dice soft veggies like tomatoes and dice onions with no more tears. The cleanout tool is used to push any leftover bits of food into the dicing kit grid, which makes it easier to clean when it’s time to cleanup. All parts of the kit can be washed in the dishwasher. Disc adapter – is only used with the dicing kit blade, the reversible shredding disc and the optional julienne and Parmesan discs. You’ll need to first place the adapter onto the power shaft then place your desired disc on top of it. During my research I found the below three attachments for the KitchenAid 16-Cup Pro Line KFP1642. However, I was only able to actually find one of them and that is the Julienne disc. I will update this review if anything changes. The included storage garage conveniently stores all of the discs, blades and shaft safely away. No need to go out and buy plastic containers to store them in or placing them in cabinet drawers and risk cutting your hands trying to get them out. The power cord is stored inside the base of the unit, so it that keeps it out of the way and not hanging off your counter. This model just came out last year so there aren’t many reviews on it as yet. I suspect also that the reviews may be limited due to the high cost of the machine. Only someone who is really into cooking a lot will probably buy this food processor. Users liked that they no longer have to spend hours slicing and dicing anymore. They love the power and size of the food processor and that is is heavy and so does not move when in use. They like the option of having three different bowls to choose from. Many of them listed the dicing feature as their favorite. A couple of users noted that the time you saved using the dicing kit is negated by the extra time you have to spend cleaning out the dicing grid. Some reviews also felt that for the high cost of the unit, the optional Parmesan/ice shaving disc, French fry disc and Julienne disc should have been included. A lot of people feel that you get what you pay for. And to a certain extent that is true. The KitchenAid 16-Cup Pro Line KFP1642CA costs $599. So what justifies the price? It’s definitely not the motor, which I think is a bit weak for such an expensive machine. The Breville BFP800XL/A Sous Chef food processor costs about $200 less but has a 1200 watt motor. When using the adjustable slicing disc, you don’t have to stop the machine and flip the disc over to get a different thickness. All you need to do is slide the external lever to go from thick to thin. It comes with three different size work bowls. A 3-1 one Ultra Wide Mouth Feed Tube and 3-1 food pusher to accommodate different sizes of food. Included accessory case to store all blades and discs. I’m sure you’ll agree that this food processor has some really good things going for it. But is it worth $600 to you? Only you can answer that question. If you’re planning to buy a high end food processor, you can add the KitchenAid 16-Cup Pro Line KFP1642CA to your short list. It gets high marks for pretty much every function. It’s powerful, quite, versatile, efficient and most of all it’ll get you out of the kitchen faster. How does the 14 cup processor with dicer compare? I have this machine, and I certainly love it. Frankly, the dicing kit was the sole reason I bought a food processor – and I use this accessory most of the time, even for jobs normally reserved for the chopping blade, such as chopping onions, because the dicing kit produces far superior results. It really works well, and, while you need to learn how to operate it properly, it is really quite easy. Point is, there is an awful lot of recipes, from minestrone to gratin to apple pie, which require you to dice something into uniform dies. I found this job to be most tedious and produce the biggest mess in the kitchen, since raw carrots in particular are quite hard to dice with a knife. With KitchenAid, this is no longer a concern at all – you just peel the carrots, feed them into the tube, and it produces uniform small dies for you. No thinking or planning or hesitation required. I dread thinking how I would be able to produce a big pot of minestrone by hand without it. I also would not recommend the out of the box dicing kit for frail people; the food can get really stuck between the cutting blade and the lower lid assembly, and jam the lid, so you will have to apply significant force to open it. KFP16DC12 does not have this problem, because it doesn’t have a disc with a blade, but rather a rotating blade similar to a propeller that has no parts that can be jammed. However, the weight and strength of the 8-mm disc makes it far better at chopping hard vegetables, like carrots. French fry disc (but not julienne disc) is also there, I just don’t remember the part number. Juicer is really good, grating disc is good if standard, egg whisk is at the very least OK, but I haven’t tried meringue (yet) with it and I’m not sure if it will work in place of a mixer. – Extra wide feeding tube felt like a gimmick to me, since the safety mechanism will only allow the food processor to work if the pusher is no more than half-way up, which means that it won’t necessarily work the way you expected, i.e. on a big chunk of cabbage. Never once I used that feature. This being said, I’m happy with how the adjustable slicer worked, grating discs and chopping blade, but whether you want a 16-cup model if you don’t use the dicing kit or you are good with a substantially cheaper 14-cup version is up to discussion.